Innovative solutions require appropriate ways of marketing them to consumers. It is imperative to find the right arguments, those that will resonate with the consumer and address concerns they may have. This report and the accompanying workbook provide the practitioner with the right tools for this job. The report presents an extensive review of scientific work on sustainable consumption, including analysis of nearly 400 different publications. 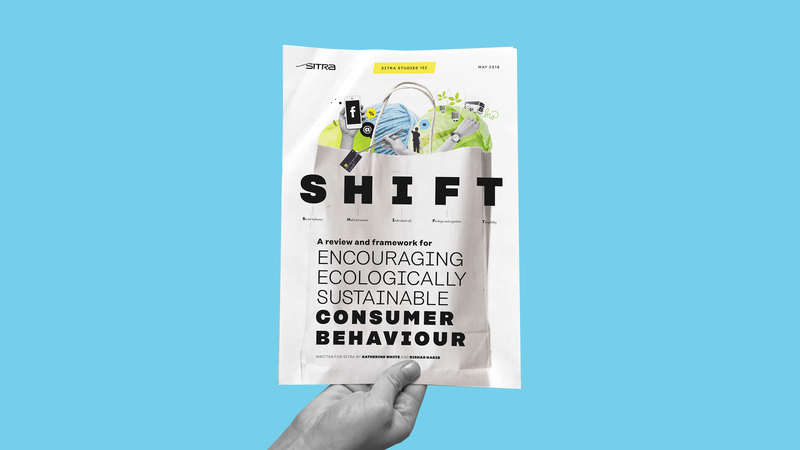 A practical tool, the SHIFT framework (SHIFT – Sustainable behaviour workbook) is created based on this analysis for the use of marketers.